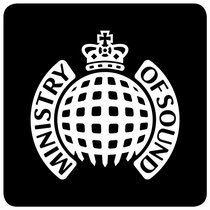 Ministry of Sound recently announced video streaming with ‘Live From The Club’. ‘Live From The Club’ launches this Saturday, 19 April (with Benny Benassi) with live video streaming every Friday and Saturday night from 1am until 7am (6am on Fridays). The high quality video streams will catch the world’s biggest DJs playing from Ministry of Sound’s world famous main room, The Box. The streams will then be available on-demand from the Monday of each week. Live From The Club will be hosted on Ministry of Sound’s brand new website www.ministryofsound.com and available across mobile, tablet and desktop devices. Check the teaser below. I visited many web sites except the audio quality for audio songs present at this website is actually marvelous. Have you ever considered about including a little bit more than just your articles? I mean, what you say is fundamental and all. But think about if you added some great graphics or video clips to give your posts more, "pop"! Your content is excellent but with images and videos, this website could definitely be one of the best in its field. Terrific blog! Hurrah! After all I got a webpage from where I be able to actually take helpful information regarding my study and knowledge. When someone writes an piece of writing he/she maintains the image of a user in his/her mind that how a user can know it. Therefore that's why this article is outstdanding. Thanks!